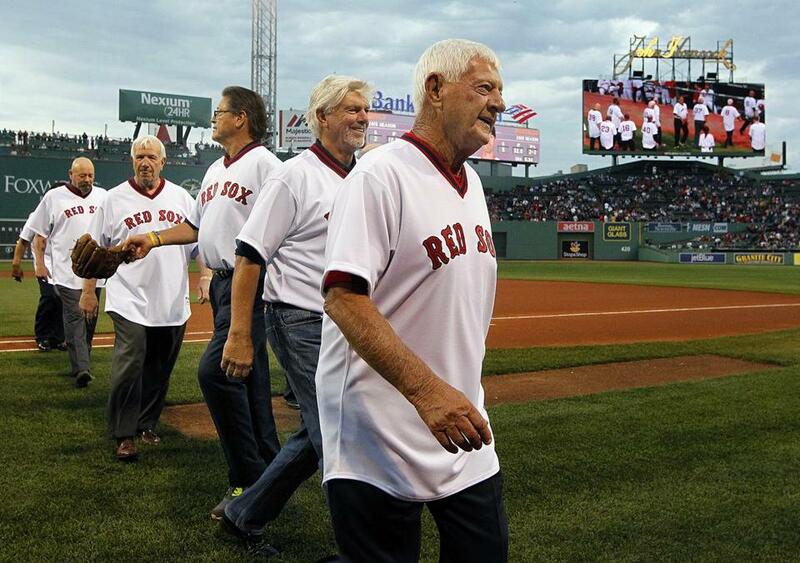 The great Carl Yastrzemski leaves the field after pregame ceremonies, trailed by 1975 teammates Bill Lee, Carlton Fisk, Bob Montgomery, and Jim Willoughby. 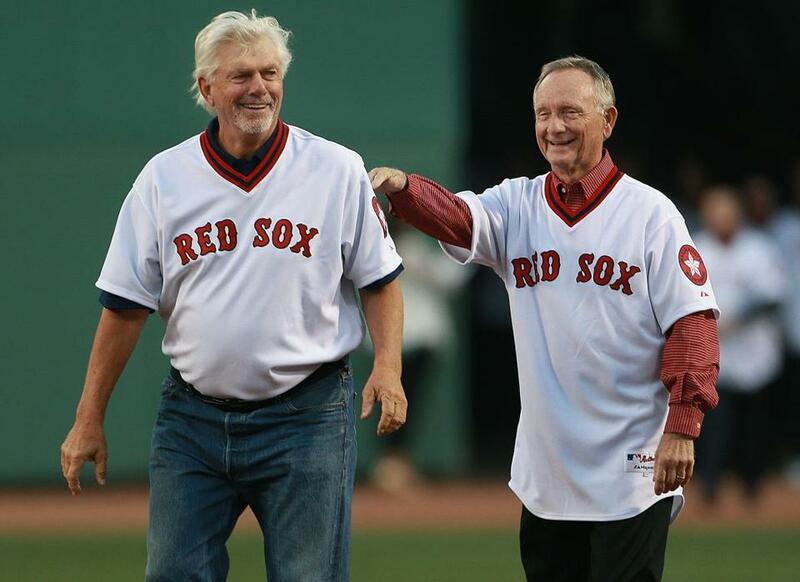 From Luis Tiant to Jim Rice to Dwight Evans, 26 members of the 1975 Red Sox American League championship team reunited at Fenway Park Tuesday night to mark the 40th anniversary of the team’s run to the World Series. 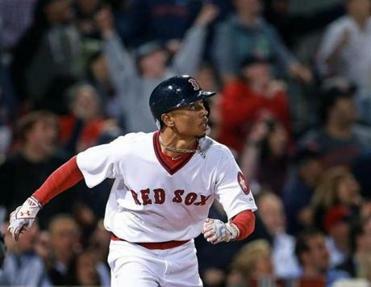 The former players took the field for a pregame tribute, the current Red Sox played the game in special throwback jerseys, and fans received Carlton Fisk bobblehead dolls. Tiant threw out the first pitch to Fisk, in a re-creation of the battery from Game 6 of the 1975 World Series. This time, Rice and Fred Lynn stood in the batter’s boxes — and Tiant threw a brushback at Rice, who was crowding the plate. Second baseman Denny Doyle (right) shows pitcher Bill Lee where the mound is during the pregame ceremony.